Rome fascinates us, bewitches us even in the high tech 21st century. It stretched for over 1229 years, it reached the heights (occasionally depths) of military achievement, produced the social, cultural and legal framework for the entire Western world, gave us its engineering genius and left us a richness in architecture, power politics, literature and art. It taught us about conquest, corruption and polarised values. We can’t leave it alone and still mourn its passing with a nostalgic sigh. Every generation loves a Roman story, whether high art like Horace from French dramatist Pierre Corneille in 1640, dedicated to that man of power, Cardinal de Richelieu, or Ridley Scott’s epic film Gladiator, enjoyed by millions. Despite varying depth of research and the uneven nature of original sources to base their work on, plus a healthy dose of dramatic licence, the storytellers have kept us hooked. Writers have written books about an aspect of ancient Rome to suit their own time: Lindsey Davies’s humorous detective Falco, Robert Graves’s I Claudius, Simon Scarrow’s adventures of military buddies Macro and Cato. So how does alternating history work? Although the time when the story takes place can be in the past, present or future, there is a given “point of divergence” when the alternate timeline splits from the standard timeline and that must be in the past. I took Theodosius I’s banning of non-Christian religious practice in AD 395 as the point of divergence for my alternate Roma Nova stories. There is no going back; the timeline can’t be changed back by some clever plot development, time machine or technical gizmo. And the narrative should show some of the consequences of the change and describe how the alternate world works. In both the real and alternate timelines of Roma Nova, i.e. the shared history before the split, the Western Roman Empire didn’t ‘fall’ in a cataclysmic event as often portrayed in film and television; it localised and eventually dissolved like chain mail fragmenting into separate links, giving way to rump states and petty kingdoms facing the dynamic rise of the new peoples of Europe particularly the Franks, Visigoths, Burgundians and Alamans. The Eastern Roman Empire survived, eventually shrinking to the city state of Byzantium, until the fall in AD 1453 to the Muslim Ottoman Empire. Some scholars think that Christianity fatally weakened the traditional Roman way of life and was a significant factor in the collapse of the Western Empire. Emperor Constantine’s personal conversion to Christianity in AD 313 was a turning point for the new religion. By AD 395, his several times successor, Theodosius, banned all traditional Roman religious practice, closed and destroyed temples and dismissed all priests. The sacred flame that had burned for over a thousand years in the College of Vestals was extinguished and the Vestal Virgins expelled. The Altar of Victory, said to guard the fortune of Rome, was hauled away from the Senate building and disappeared from history. Thus Rome lost some of its essential “romanitas“. Many things in an alternate Rome would seem the same as the ones we know about in our real time; anchors such as social structures and attitudes, politics and customs. However, some could have changed radically over the centuries, displaying the innate Roman genius of “learn and adapt”. In AD 395, three months after the final blow of Theodosius’ last decree banning all pagan religions, over four hundred Romans loyal to the old gods, and so in danger of execution, trekked north out of Italy to a semi-mountainous area similar to modern Slovenia. Led by Senator Apulius at the head of twelve other senatorial families, they established a colony – Roma Nova – based initially on land owned by Apulius’s Celtic father-in-law. By purchase, alliance and conquest, this grew into Roma Nova. I would add history and willpower as essential factors. Roma Nova survived by changing its social structure; as men constantly fought to defend the new colony, women took over the social, political and economic roles, weaving new power and influence networks based on family structures. Despite their hidden power of influence, women in ancient Rome were circumscribed by repressive traditional attitudes. However, towards the later Imperial period women gained much more freedom to act, trade and own property and to run businesses of all types. Divorce was easy and step and adopted families were commonplace. In Roma Nova, Apulius, founder and leader of the new colony, had married Julia Bacausa, the tough daughter of a Celtic princeling in Noricum. She had left her native Virunum twenty years before, travelled to Rome, found Apulius and married him the day of her arrival. She came from a society in which, although Romanised for several generations, women in her family made decisions, fought in battles and managed inheritance and property. Their four daughters were amongst the first Roma Nova pioneers so necessarily had to act more decisively than they would have in a traditional urban Roman setting. Given the unstable, dangerous times in Roma Nova’s first few hundred years, and their fierce desire to survive, eventually the daughters as well as sons had to put on armour and carry weapons to defend their new homeland and way of life. So I don’t think that it’s too far a stretch for women to have developed leadership roles in all parts of Roma Novan life over the next sixteen centuries. Service to the state was valued higher than personal advantage, echoing Roman Republican virtues, and the women heading the families guarded and enhanced these values to provide a core philosophy throughout the centuries. Roma Nova’s continued existence has been favoured by three factors: the discovery and exploitation of high grade silver in their mountains, their efficient engineering and technology, and their robust response to any threat. Remembering their Byzantine cousins’ defeat in the Fall of Constantinople, Roma Novan troops assisted the western nations at the Battle of Vienna in 1683 to halt the Ottoman advance into Europe. Nearly two hundred years later, they used their diplomatic skills to help forge an alliance to push Napoleon IV back across the Rhine as he attempted to expand his grandfather’s empire. Prioritising survival, Roma Nova remained neutral in the Great War of the 20th century which lasted from 1925 to 1935. The Greater German Empire, stretching from Jutland in the north, Alsace in the west, Tyrol in the south and Bulgaria in the east, was broken up afterwards into its former small kingdoms, duchies and counties. Some became republics. There was no sign of an Austrian-born corporal with a short, square moustache. 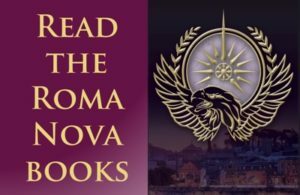 Twenty-three years before the action of INCEPTIO in the early 21st century, Roma Nova was nearly destroyed by a coup, a brutal male-dominated consulship and civil war. A weak leader, sclerotic and outmoded systems that had not developed since the last great reform in the 1700s and a neglected economy let in a clever and ruthless tyrant. But with characteristic resilience, the families fought back and reconstructed their society, re-learning the basic principles of Republican virtue, while subtly changing it to a more representational model for modern times. Today, although tiny, perhaps the size of Luxembourg, Roma Nova (photos here) has become one of the highest per capita income states in the world. Its citizens are proud to consider themselves as Roman. One of the things I like about this Wonder of Rome topic is the variety. Alternative history! Good stuff. Thanks for your comment, Denise. All open until 20 August! I would love to read this after hearing you talk about it on our feminist utopias panel at Nine World. Thanks for dropping by, Alex. It was a great discussion at NineWorlds, wasn’t it? And a pleasure to meet you. Hope you have a few minutes to have a look at some of the other excellent posts on our hop. What a lovely comment – thanks, Heather. It was a story running around in my brain for many years and seemed to spring out when something pushed the novel-writing button. What a fantastic concept – loved this post ! No need to add me to the giveaway because I’m in the hop but it’s yet another book moving to the top of my ballycumber TBR pile! Glad you liked it, Elizabeth. I’ve always been fascinated by the “what if” concept ever since I read Fatherland. But I firmly believe you have to know history before you can alternate it. That’s so astute, Alison. May I quote you on Twitter? With a citation, of course. Just tweeted! I got your link and #wonderofrome in there, too. There would be a strong possibility we’d all be speaking street Latin, n’est-ce pas? Oh, we are…At least here in France we are. Seriously,that’s fascinating as a line of exploration. In the ingenious, but clunkily written, Agent of Byzantium the protagonist uses an early form of explosive against enemies. 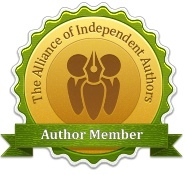 I’ve discovered a lot of new authors, ergo more books(! ), made some new friends and learned about things I’d only had a superficial knowledge of. 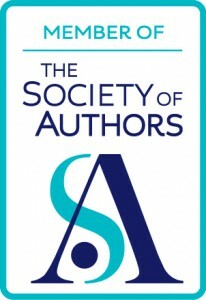 Yay for blog hops! Exactly so, Manda! We learn about the persecution by Romans of Christians but forget about it the other way around. Some of the cruelty dished out by the ‘Galileans’, as Julian had called them, was on a par with what the earlier Romans had done. The Romans acted out of political and economic expediency – as expected – not because of any religious fanaticism. The same can’t be said the other way around. This is such a great concept! All those post-Roman ‘barbarian’ states claimed to inherit so much of the legacy of Rome, but in every case their own ethnic identity overrode any Roman identity, so nothing like Nova Roma survived, sadly… Although as a side note, the Franks did claim to be descended from Trojan refugees (hence ‘cousins’ of the Romans), who in their case had sailed up the Danube to Germany! You have left lovely comments, so I couldn’t easily choose the winner of the INCEPTIO draw. I wrote names on little bits of paper and swirled them round in a Roman helmet (No, actually it was a jam-jar from the recycling!). Eyes tight shut, I drew out one of the scraps of paper. I opened my eyes and read the name. Congratulations! And thanks to everybody who took part. I so enjoyed this blog hop – and well done Alex for winning a copy of INCEPTIO you are in for a fabulous read!